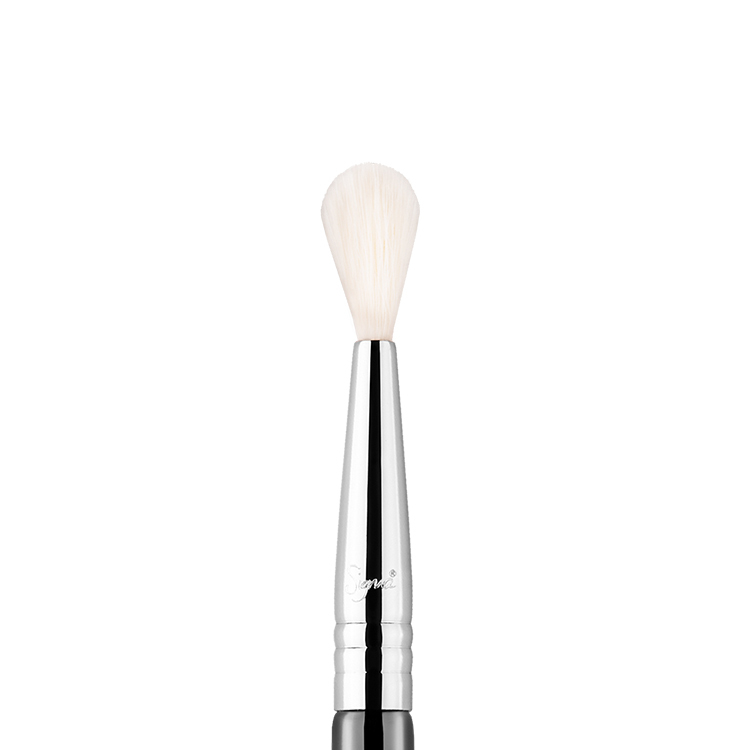 The E45 Small Tapered Blending brush features a small, tapered brush head with a pointed tip. This brush is ideal for adding depth in the crease with control of product placement. 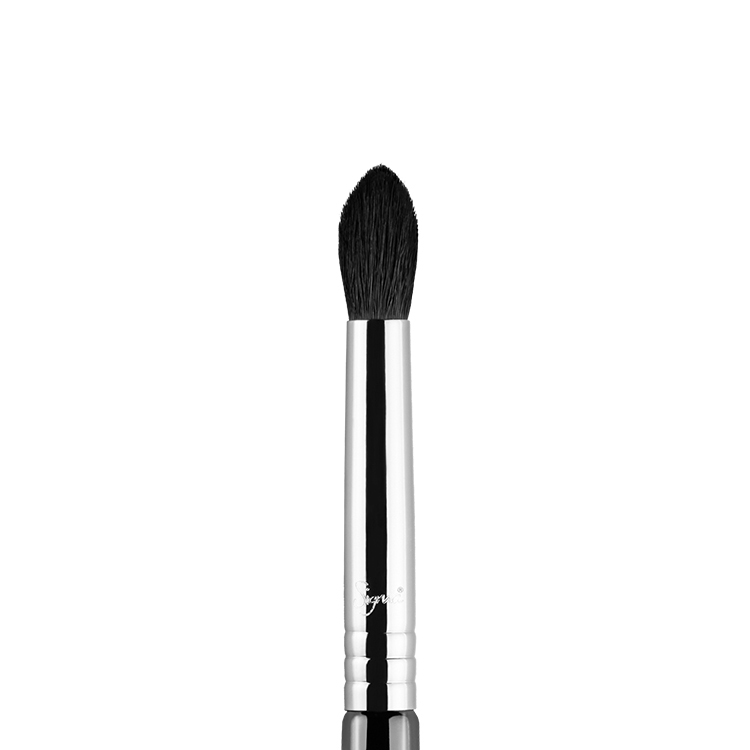 Works great with dark shades of powder shadows keeping them in place. Recommended Use: Picking up colour with just the tip of the brush, apply intense colours to the crease to add depth and dimension to the eye. 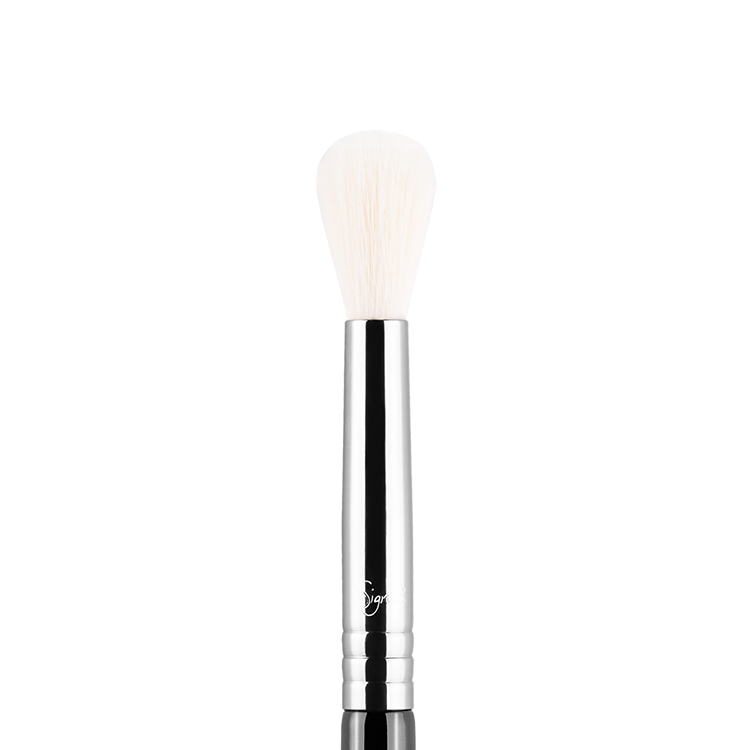 Great soft brush for crease work. Smaller than E25 and handy to have along with the E25 and E40. I’m leaving a second review as I forgot to rate this with five stars and left it as 1 star. It needs 5 stars for sure. Fantastic brush for in the crease. It’s just perfect for blending that area without moving to much product around. Fantastic brush for in the crease. It’s just perfect for blending that area without moving to much product around. 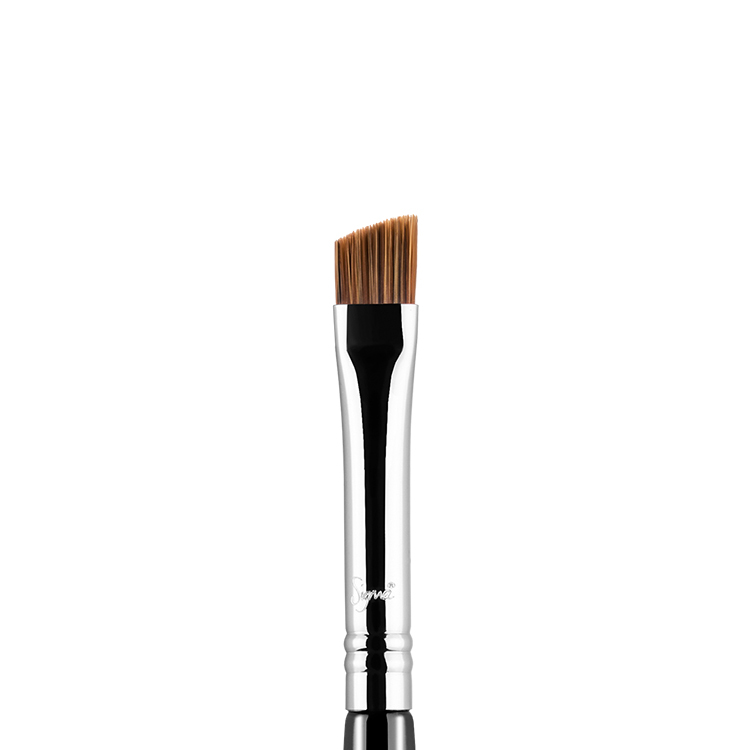 I do a lot of detailed eye work and this brush is an absolute must for me. I don’t know how I lived without it beforehand. Great for the crease. Love this brush. Very soft. No shedding. Just the right size to apply precise colour to the crease. Blends well too. Ideal for people with smaller eyes or hooded lids. This a nice small brush for a more precise application. I like it for a more precise crease and I like to use it to apply and blend shadow under my eyes because it is nice and small. Excellent brush. Easy to work with. 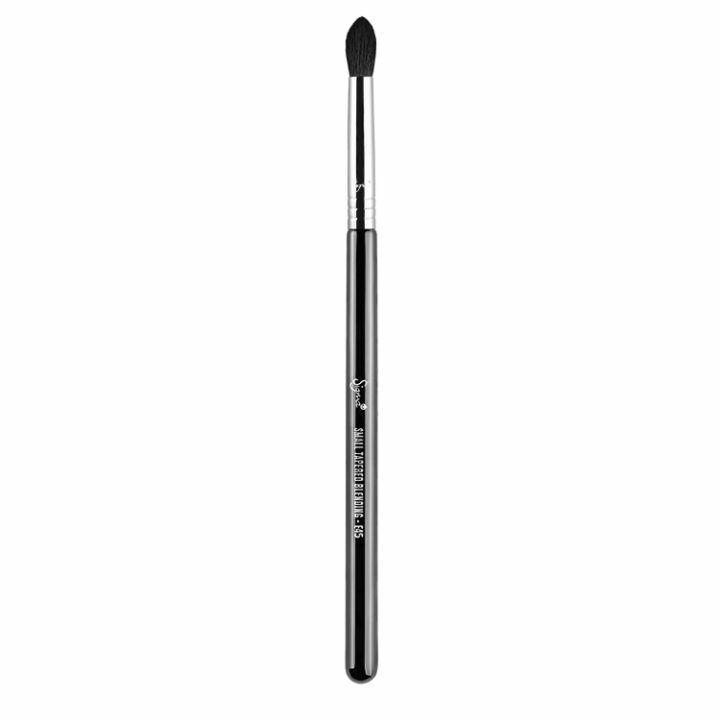 Great for blending eyeshadow along the crease and is small enough for detail work in the outer corner. Very soft to touch. Love it! 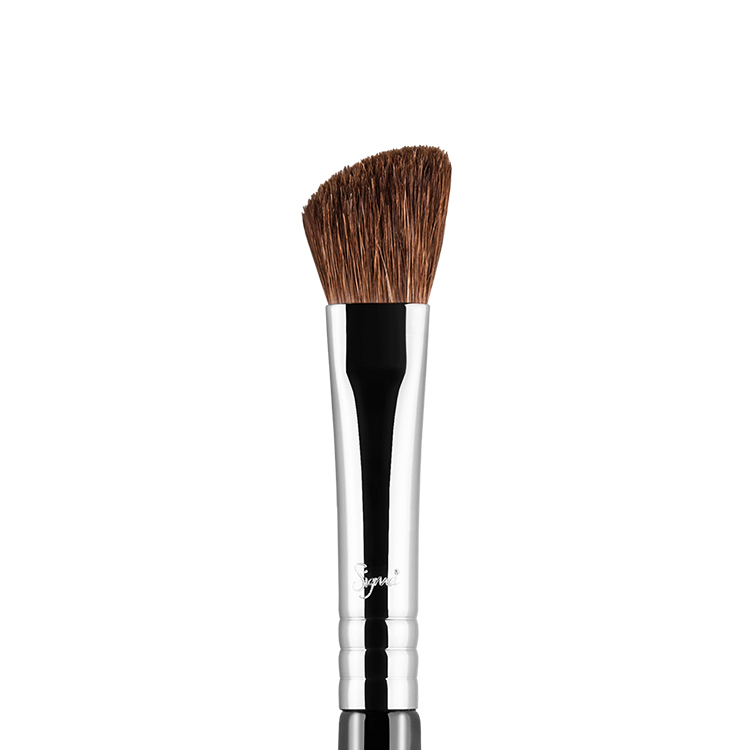 This brush is excellent, firm enough to blend eyeshadow, i like this more than my mac 217 because the sigma is more firm and its smaller, great for more define blending, like to use for every day make up, thumbs up!!! What a brush. So soft to touch, blends perfectly and washes really well and keeps its shape when dried. I use this along with my other Sigma eye shadow blending brushes E25 + E35 to create the perfect trio. Love them! This is an excellent brush. I am loving it. It’s just the right size for crease work, especially if you have hooded eyes like I do. I’m no longer struggling with my application of darker colours around the crease. I’ve washed this brush a number of times already and it has retained its shape. Thinking of buying a second one. This is a must-have blending brush for small or hooded eyes! It deposits color on to the crease very precisely due to its tapered shape. Hence, it could also be used for shading the lower lash line. The shape of the brush stays the same with every wash and mine has not shed a single bristle since I bought it. Really recommended for Asian eyes, Almond-shaped eyes and Hooded eyes. This is my favourite eye brush so far. It is smaller and more tapered than your regular blending brush so getting into the crease is no hassle at all. It gives a perfect ‘cut crease’ look and is also perfect for precision blending. The bristles are very soft and so far I have not had any problems with shedding since purchasing it a month ago.